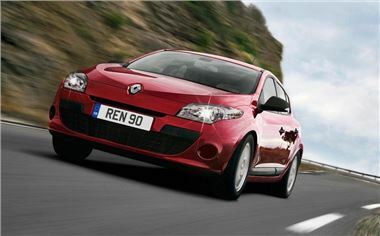 Renault has introduced a new entry-level version of its popular Megane five-door hatchback. Called the Megane Generation, it replaces the Extreme trim and is available to order now with a 1.6-litre 100bhp petrol or the 1.5 dCi 90bhp diesel engine, both with five-speed gearboxes. As part of its 'Vive Le Summer' promotion, which has just started, the new entry-level Generation 1.6-litre will be available for a limited time to retail cash buyers at £10,995 on the road, £3,000 less than the recommended retail price. Outside of the offer, at £13,995 and £15,755 respectively, both models are still £860 cheaper than their predecessors. The Generation comes well equipped too with a 4x15W radio CD with fingertip remote controls and aux input, air conditioning, cruise control, electric door mirrors and front windows, ESC, hands free keycard and a speed limiter.